Hi! 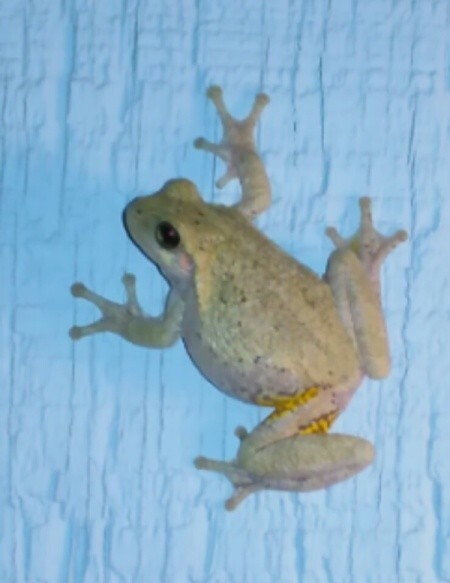 Aren't these little tree frogs awesome? 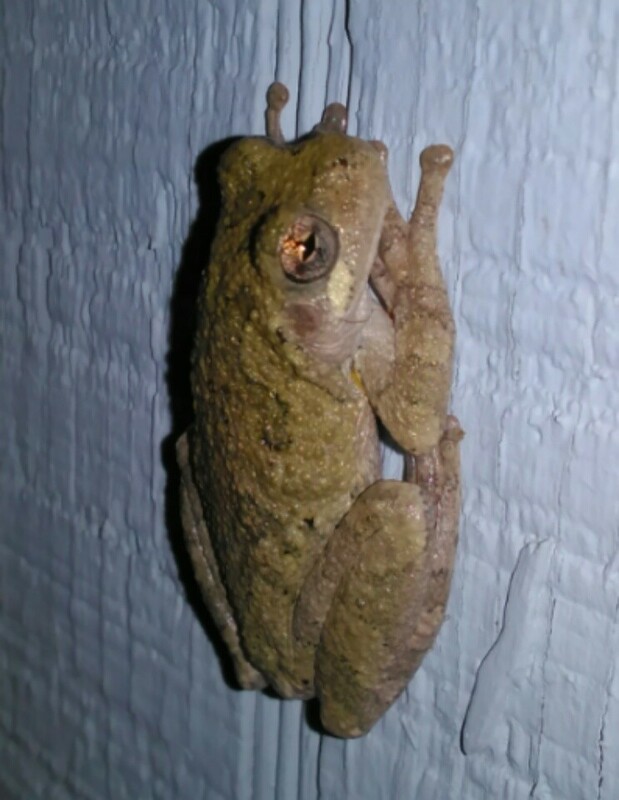 They are called "Spring Peepers" and have the prettiest little song. The male has been coming to my door for about a week in the evening, singing his little heart out looking for a mate, which is how I discovered him in the first place. He comes just before dark, so I began turning on the porch light to "serve him dinner. " Within two days he had coaxed the female in the second picture with his romantic songs, and I'd like to think the "fast-food" buffet didn't hurt, either! They are now a lovely pair and meet here every evening. Perhaps kissing a frog can indeed lead to your prince, as long as you don't mind that he still looks like a frog! These Peepers happily reside in a small town in Oklahoma.